If it was easy, everyone would do it. Farming can be a real test of nerves. 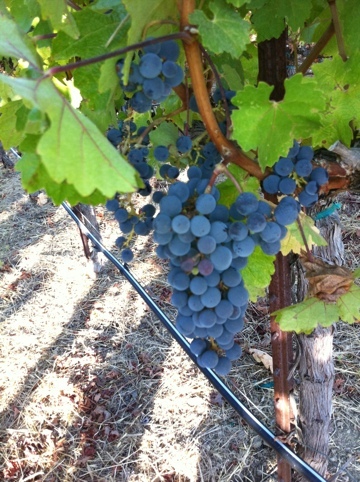 The fruit looks good at Baconbrook but the brix is still a tad low and the flavors are not there yet. The vines also look to be starting to shut down. What to do? The next 5-7 days promise unsettled weather with two storms coming through. However, long rang forecast shows clearing and warming. Good! We’ll need that weather to dry things out and finish ripening both of our vineyards. My prediction right now is we’ll harvest Baconbrook the week of October 10th with Butterdragon following 5-7 days later.